My daughter recently brought a card game with her when she came to visit and it was so much fun that I decided to share my terrific 'find'! Scrabble Word Play Poker is a great card game for the whole family, but not only that - it would make a great Christmas stocking stuffer. Our family is a Scrabble family from way back. We have been playing Scrabble since our kids were young enough to start playing at 7-8 years of age and have been playing ever since. We generally have a game going on a table somewhere whenever someone visits. We have the old board game of Scrabble that is 20 some years old, we have the Deluxe Scrabble game that a friend gave us one Christmas complete with the turntable, and we also have the travel Scrabble game! I would say that we are Scrabble enabled! We also have the Scrabble dictionary because heaven forbid if someone didn't know how to spell something! We also have Scrabble loaded on our computers! 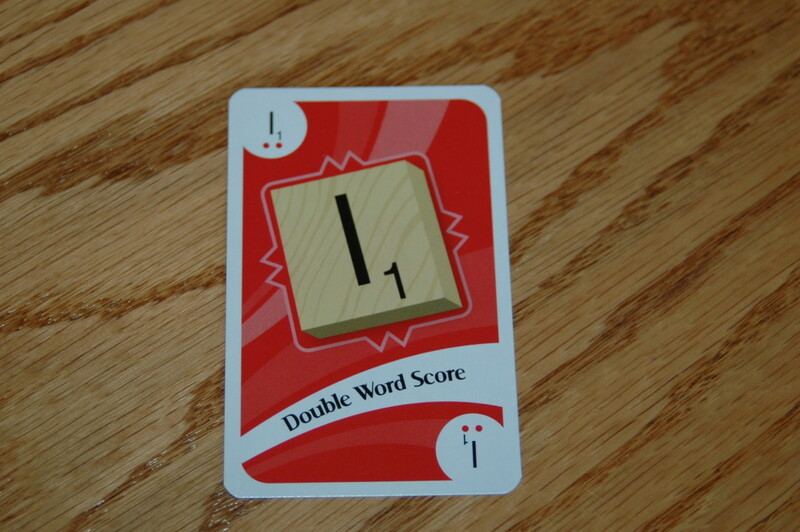 Scrabble Word Play Poker is a game for 2-6 players ages 8 to 100! So all that said, why would we need more Scrabble games? Because they made them of course! I really enjoyed Scrabble Word Play Poker though I am a lousy poker player and usually just win by accident if ever I do win. However, Scrabble Word Play Poker is right up my alley because it involves words....something I'm very fond of! Let's see how it's played and then you be the judge as to how much fun it is! The object is to score the most points. The 'recommended' duration of 1 game is 10 hands or rounds but you can play to your heart's content and just determine the winner by the highest score. Every hand or round is a new shot at making a word - so you are never stuck with bad tiles! 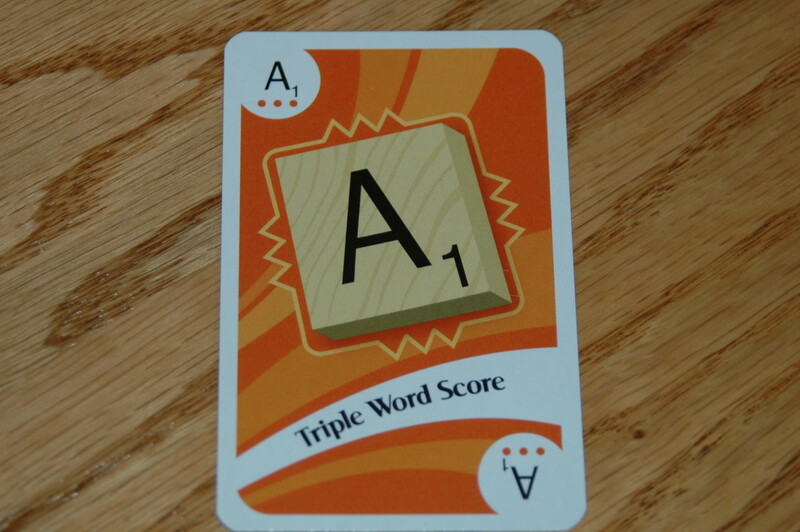 The game is played as follows: You all draw a card and the closest card to the letter A leads off as the dealer. The deal always proceeds to the left as does play. The dealer shuffles all the cards and then deals out 7 cards to everyone face down. Only the player will see his or her cards until they are played. The rest of the deck is placed in the middle of the table for drawing cards - no card is turned up. Each player on looking at their cards tries to come up with the BEST word that they can make out of the 7 cards - for the most points. Each player (first player to the left of the dealer goes first and so on) gets to draw up to 3 new cards and discard 3 per hand to make a word. 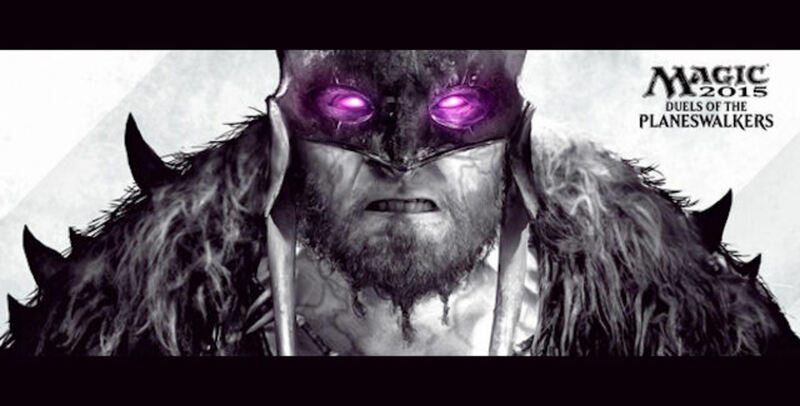 When all players have kept their 7 cards, drawn up to 3 new cards and discarded and are ready to lay down their words, then the player to the left of the dealer lays down his or her word, etc. Play proceeds around the table and someone keeps score noting how many points each player got. That is the end of the first hand. The player to the left of the dealer now becomes the dealer and proceeds on as above after shuffling the cards. You play rounds or hands until you decide to stop - it is as simple as that. There is a score sheet on the back of the instructions that you can copy - or make your own - or just keep score on a pad of paper. 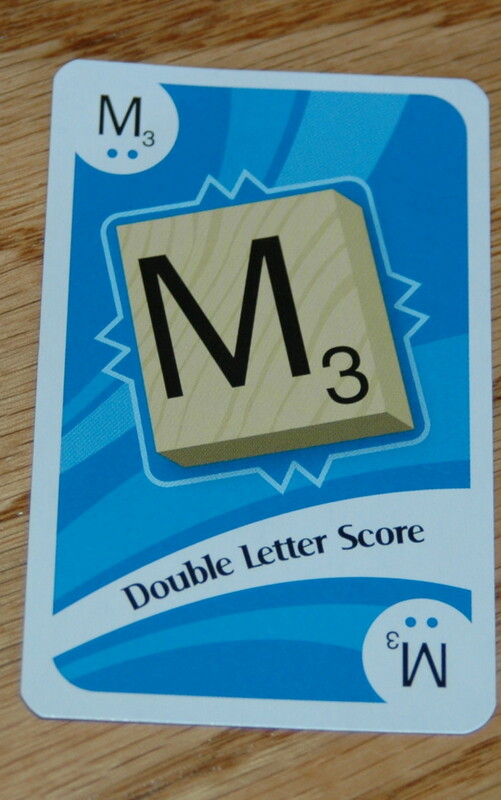 That was the basic idea behind the game - however, to make it all more interesting, as is customary in Scrabble, there are 'premium' squares that double or triple a letter score or a word score - these are also a part of Scrabble Word Play Poker. The deck is comprised of 110 cards. There are 74 letter cards. 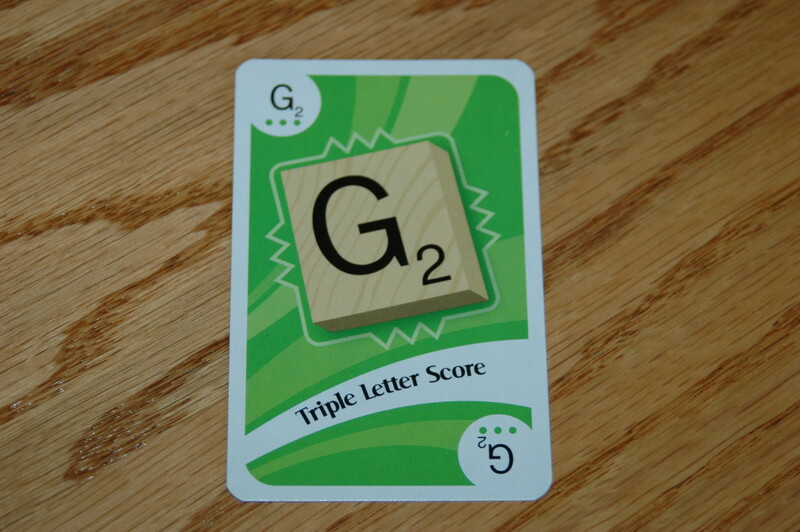 There are 32 premium score cards such as those noted in the pictures in the slideshow but the premium score cards are for many different letters. 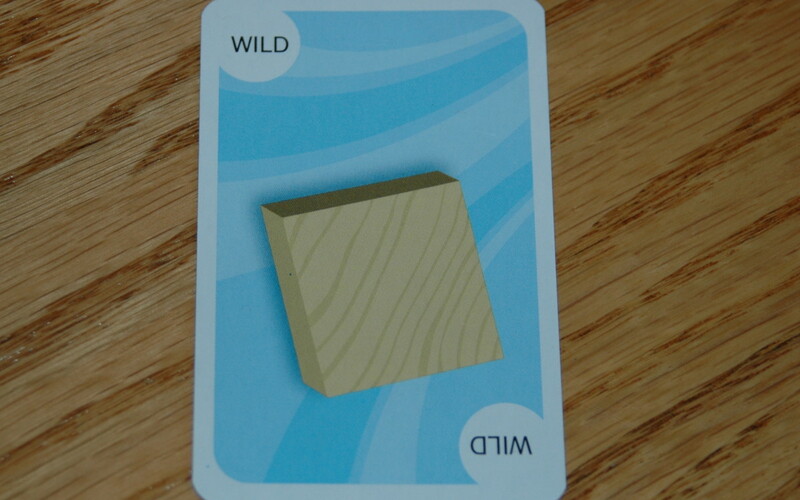 There are 4 wild cards - which may be played for any letter and do not have any point value. The rules for Scrabble Word Play Poker are much the same as for regular Scrabble - meaning you decide on the dictionary to be used before you start the game if you are using one, be it a standard dictionary or a Scrabble dictionary. Usually words that are capitalized, abbreviated, are prefixes or suffixes if they stand alone, and words requiring punctuation such as apostrophes or hyphens are not accepted. Likewise, archaic, obsolete, colloquial and slang words are not usually accepted - but the terms of what is allowable need to be set before play. A word laid is a word played! No take backs! If you decide beforehand that there will be challenges of words allowed, then decide as well if there will be a penalty involved. If the challenger is incorrect and the word is correct that a player has spelled, will there be a penalty of points awarded due to the incorrect challenge? Likewise, if the word is in fact incorrect, then will there be a penalty for the incorrect word - a reduction in points on that player's score? The dictionary should be used for challenges only though that rule depends on the parties playing! 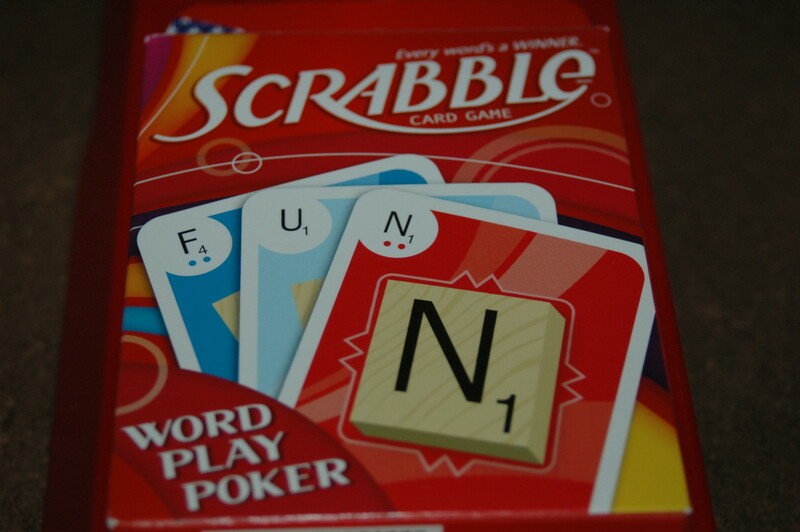 Scrabble Word Play Poker is a great game for the family and for gatherings with friends. It is also a super game for travel as it is only a deck of cards! 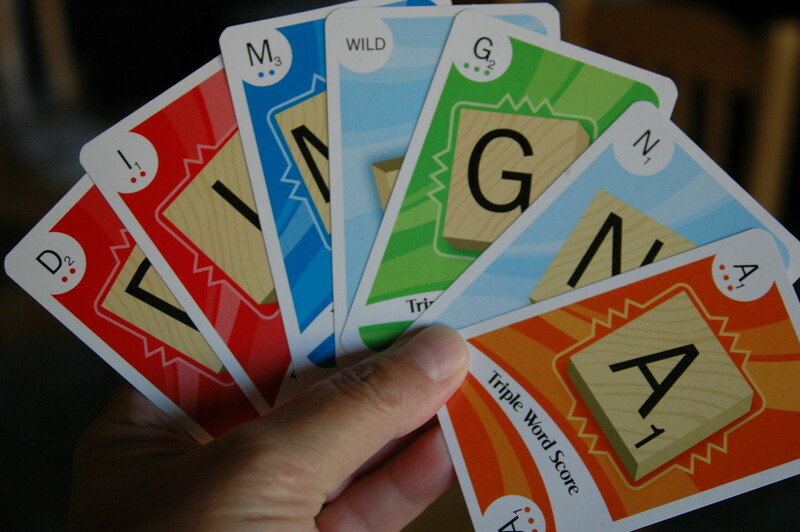 This is also a great learning game for spelling for kids of all ages. Scrabble Word Play Poker can also be played as Hold 'Em style poker - instructions are included in the game. 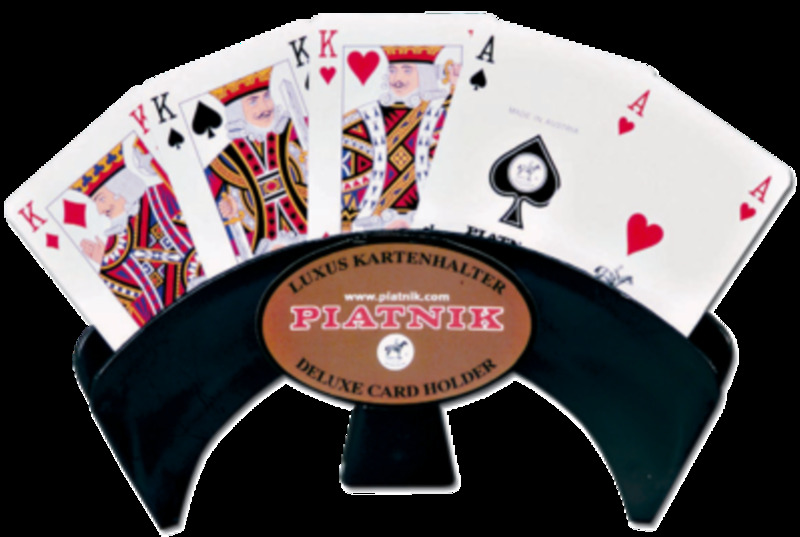 There are a few variations of the game out there that come with poker chips as well and involve betting on hands - these are the more deluxe versions of the game. All in all, this was a great game to play while sitting out on the patio on a warm summer evening and generates a lot of conversation and laughter. I've always thought playing any kind of game with family or friends is a great way to spend time together - and a good way to keep your mind active. In this case, it is not all about luck but also about the power of words. If you're into words, you're gonna love this game! This little game is a clever little variation on a classic - Scrabble. Hope you get a chance to play soon and check it out! Scrabble is one of the most popular board games ever. It makes a great gift. Tips and tricks to playing Scrabble and impressing friends with you quick thinking and great word game skills. Hey Laura - Either did I and I thought I knew everything Scrabble! Thanks for the read. Thanks, I love Scrabble, too! Did not know about the cards, though!! HH - For a Scrabble-holic like me though it's icing on the cake! This one is so easy to lug around I could play it anywhere...much to my family's dismay sometimes! Whatever are they bringing out next. Thanks for sharing. Thanks for stopping by, Winsome - and I think you can play Texas Hold 'Em - it's in the directions but I totally did not 'get it'! My poker skills are rather limited and I believe I am poker-impaired, so this is not surprising! It's a blast - and because you can play it as long as you want and every hand is a 'new start'...it's wonderful and can even keep someone's attention who didn't really, really want to play! Never heard of this, but I love Scrabble. Thanks! I agree! He probably knows all kinds of canine words that I have no CLUE how to spell! I'll bet that little guy'd absolutely slaughter you! You better study up, gal! Sad but true, today I don't think there is that much emphasis on spelling! I love Scrabble just because it makes you think of words and I love words - I also play solo Scrabble on my computer though when I can't get Bob to join in....I'm still working on getting Griffin to play! Reading this hub has me so depressed. I am the ONLY one in my house that cares about spelling!!! No kidding! It's torture around here, but I love them anyway, so oh, well. Maybe I can turn my soon to exist grandchild to love spelling-then we can play! Lovely, eh? I've gotten quite a few 'ewwww's when I do that - not ewes but EWWWW's. Quite embarrassing - Ms. Wordsmith. I have to say too that everyone expects a lot from me when it comes to Scrabble. Not only do I edit for a living as well as do medical transcription, but now I'm a wannabe writer. Good god - the pressure is enough to pull me under! So when you are playing Scrabble next time, think of me - counseling could be useful in this case for me. I have too much to deal with and all this pressure to be #1 is sometimes a cross to bear! Seriously, my son Patrick almost ALWAYS beats the living tar out of me at it which makes me furious (ha ha) but it's just something I gotta live with! I seriously probably lose more than I win - so being a wordsmith doesn't really apparently matter in the case of Scrabble! I need to go to Scrabble camp! That's it! OMG - you mean mixing Bowel was a mistake and that's not where you stir the ingredients? OMG! OMG! Thanks, Katie for stopping by - I love games but Scrabble is my favorite by far. I'm loving these card games because now I can talk Bob into playing! It's tough when it's just the 2 of us - blasted Griffin can't seem to hold the dang cards in his paws - or move the stupid tiles! I can be either or - if you sign me up as Audrey then I can also sign up as Audrea - and play twice as many times, right? I seriously do have a word problem - I can't get away from them! It is a terrible affliction but one I guess I shall have to live with. I don't know anyone who has died of spelling to death, eh? At least not yet! My worst problem though is when I do recipes - I type BOWEL for 8-10 hours per day and I've been known to instruct folks to put the ingredients in a mixing bowel and stir well....well, I guess so! I am setting up a new association for those who are suffering from ESA. Would you like to be a charter member? Our mission is to return our members to society where they can again lead fulfilling lives. ESA is Extreme Scrabble Addiction. The membership fee is a pittance. The initiation fee, however, requires your signing a one-year contract as an indentured servant. Do I spell your name as Audrey or Audrea on the contract?